Garden City, NY: Doubleday & Co, 1951. Hardcover. Near Fine/Very Good +. Susanne Suba. 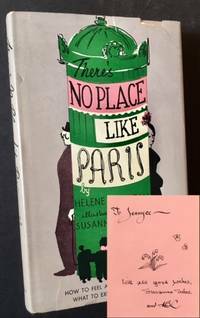 A wonderful Association copy: NICELY INSCRIBED BY THE ILLUSTRATOR SUSANNE SUBA TO ARTIST AND CHILDREN'S BOOK (AND DUSTJACKET) ILLUSTRATOR JEANYEE WONG. ALSO INCLUDES A DRAWING IN SUBA'S HAND OF FLOWERS AND BUTTERFLIES AND IS ADDTIONALLY SIGNED (INITIALLED) BY THE AUTHOR HELEN MACLEAN. A very solid copy to boot of this early (but not 1st) edition. Tight and Near Fine in a crisp, price-intact ($2.50), VG+ dustjacket, with several small closed tears along the front panel's edges. 12mo, charmingly illustrated thruout by Susanne Suba. 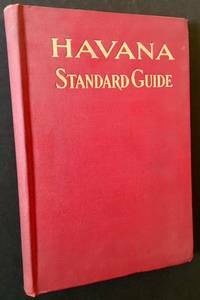 Havana and New York: Foster & Reynolds, Publishers, 1909. Cloth. Very Good +. A handsome copy of the 1909 edition (the first edition was 1905). Tight and VG+ in its dark-red cloth, with bright gilt-titling to the front panel. Very light dusting to the panels, small, neat former owner name and date (1909) at the front pastedown. 12mo, generous black-and-white photography thruout. Also includes a very sharp example of the fold-out map of Havana (The "Standard Guide" Map of Havana) laid-in at the rear. New York & London: Wiley and Putnam, 1845. Decorative Cloth. Very Good +. A handsome, crisp copy of the 1845 1st edition. Tight and VG+ in its dark-brown cloth, with lovely gilt-decoration and titling along the front panel and spine. Decorative bordering and blindstamping to the panels as well. The fold-out frontispiece map of "Modern Rome" in very nice condition. Overall, solid and VG+, with light foxing to the preliminaries and, intermittently, thru the text. 12mo, 205 pgs. plus Appendix. Moscow: Co-Operative Publishing Society of Foreign Workers in the U.S.S.R., 1937. Cloth. Very Good +. 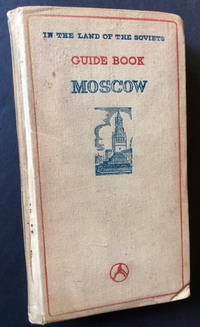 Uncommon 1937 Moscow travel guide, with very impressive plates and fold-out maps thruout. Solid and VG+ in its oatmeal cloth, with very light rubbing to the panels. Issued by the State-sponsored Co-Operative Publishing Society of Foreign Workers, this was clearly a proud undertaking where very little expense was spared. 1 of the 6 large fold-out maps ("Moscow-Volga Canal") is missing but all else is completely intact. The color plates (largely of food delicacies) toward the rear are crisp and especially striking. 12mo, part of the "In the Land of the Soviets" series from the 30s. Montreal: M. Longmoore & Co, 1867. Cloth. Very Good +. 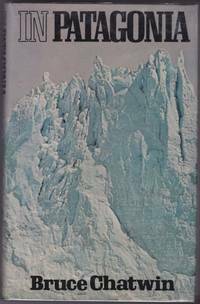 A very solid copy of the 1867 2nd edition, with the 8 (as called for) mounted albumen photographs by the great Canadian photographer William Notman. Clean and VG+ in its chocolate-brown boards, with bright gilt-design and lettering at the front panel and spine. Very light wear to the spine crown, otherwise clean as could be. Octavo, wonderful local ads at the rear. London: Faber and Faber, 1962. Cloth. Near Fine/Near Fine. A crisp, tight copy of the 1962 1st edition. Clean and Near Fine (with just a touch of offsetting at the endsheets) in a bright, price-intact, Near Fine dustjacket, with very light creasing at the lower-edges. Octavo, 179 pgs. Intrepid gypsy-dweller in early 50s New York. Newton Abbot, Devon, England: David & Charles, 1974. Cloth. Near Fine/Very Good. 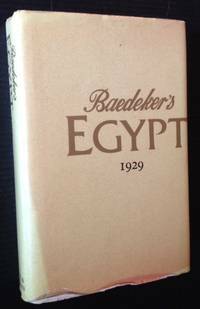 A solid copy of this 1974 reprint of the 1929 8th edition, which "incorporates further textual revisions which take account of archaeological discoveries after World War I, including the finding of the tomb of Tutankhamum in 1922." Clean and Near Fine in a crisp, price-intact, VG+ dustjacket, with sunning at the front panel and spine. Still though, very presentable. Thick 16mo, wonderful fold-out maps thruout. Garden City, NY: Doubleday & Co, 1952. Cloth. Very Good +/Very Good +. Eugene Berman. WARMLY INSCRIBED BY ELEANOR CLARK IN YEAR-OF-PUBLICATION. A very solid copy to boot of the 1952 stated 1st edition. Tight and VG+ in a bright, price-intact, VG dustjacket, with very light wear to the spine ends and light foxing along the flap-folds. Octavo, nicely illustrated by Eugene Berman. New York: Frederick A. Stokes, 1929. Cloth. Near Fine/Very Good +. A very sharp copy of the March 14, 1929 second printing before publication (actually preceding the March 25th 1st printing by 11 days). IN A NICE EXAMPLE OF THE UNCOMMON ORIGINAL DUSTJACKET. Clean and Near Fine (with bright, completely unflecked gilt-lettering at the front panel and spine) in a crisp, price-clipped, VG+ dustjacket, with very light creasing and chipping along the panel top-edges and light soiling to the rear panel. Thick octavo, 407 pgs., including 20 reproductions from paintings by the author himself. New York: Harper & Brothers, 1868. Cloth. Very Good +. A solid, well-preserved copy of the 1868 1st American edition. 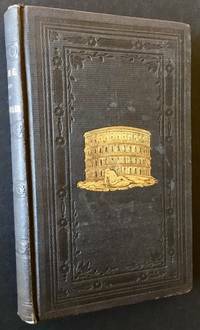 Tight and VG+ in its chocolate-brown cloth, with bright gilt-lettering and insignia at the front panel and spine. Tasteful former owner bookplate to the front pastedown, light, inoffensive foxing along several preliminaries and just a bit to the text. 12mo, 287 pgs. plus Harper & Brothers ads. London: Frederick Muller, 1946. Decorative Cloth. Collectible; Very Good/Very Good. 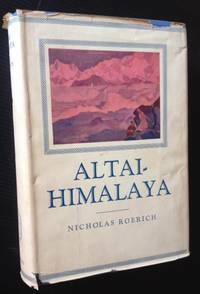 A handsome copy of the 1946 1st edition. Solid and VG (with light offsetting at the front and rear endpapers) in a bright, price-intact, VG dustjacket, with light chipping to the spine crown. Octavo, over a dozen original lithographs by the great Edward Bawden. New York: The Elite Art Press, 1903. 1st. Hardcover. Good. A WONDERFUL DOCUMENT IN THE WARM HISTORY OF TURN-OF-THE-CENTURY GERMAN-AMERICAN RELATIONS. 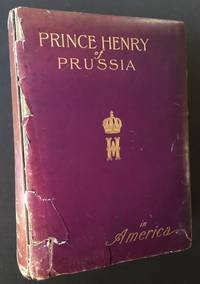 The very uncommon 1903 1st edition of this exhaustive retelling of the historic trip made to The United States by Prussia's Prince Henry (brother of Kaiser Wilhelm) in early 1902. The 1st edition was also called the "Imperial Purple Edition", intended to impress in its luxury and scale, and was limited to only 1,000 copies. Surprisingly, the binding of this very heavy (14+ lbs. ), thick folio has held up nicely and is very strong. The front cover though show considerable pealing along the front hinge and there's notable fading as well along the spine, making this copy Good+ only. Top-edge gilt, deckled fore and bottom edges. Crisp black-and-white portraits thruout (including J.P. Morgan) and a nicely-printed text on thick, high-quality paper. In spite of the chipping along the front cover, this remains a solid, presentable copy of what must be a truly uncommon title in its original 1903 printing. New York: Creative Age Press, 1949. Hardcover. Collectible; Very Good/Very Good. 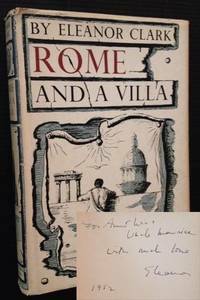 SIGNED BY ROBERT GRAVES on the second front endpaper. A solid copy to boot of the 1949 stated 1st American edition. Tight and VG+ (with just a touch of spotting at the rear panel) in a bright, price-intact, VG dustjacket, with light wear along the spine edges. Octavo, 290 pgs. 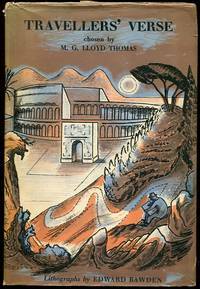 Published originally in Great Britain under the title "Seven Days in New Crete" Signed by Author. Worcester, MA: Privately Printed, 1869. 1st. Cloth. Collectible; Very Good. Uncommon 1869 account of an 8 day summer excursion from Worcester, MA aboard the steamboat the "City of New London", chartered specifically for the trip by the "Coit Excursionists". Well-preserved and VG in its navy-blue cloth, with bright gilt-lettering at the front panel. Light, forgivable scuffing along the boards and just a touch of wear to the spine ends. 12mo, 72 pgs. Boston: Houghton Mifflin Co, 1956. 1st. Cloth. Collectible; Very Good/Very Good. WARMLY INSCRIBED BY THE AUTHOR on the half-title. 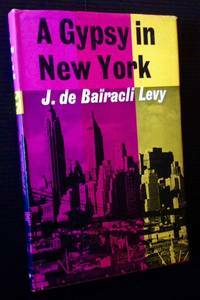 A solid copy to boot of the 1956 1st edition. Tight and VG (with very light staining along the panel top-edges) in a bright, price-clipped, VG dustjacket, with light wear to the spine ends and light rubbing to the rear panel. Octavo, 276 pgs. Signed by Author. London: The Curwen Press, 1931. 1st. Original Wraps. Collectible; Fine. 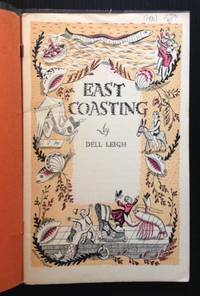 Lovely 1931 travel booklet, issued by The London and Northeastern Railway and wonderfully illustrated in rich color (and black-and-white) by the great graphic artist Edward Bawden. A clean, very well-preserved copy to boot: Crisp and Near Fine in its stapled orange wrappers, with just the slightest hint of age-toning along the spine. Octavo, beautifully designed and published out of London by Curwen Press. New York: The Student Guide Publishing Company, 1927. 1st. Original Wraps. Collectible; Very Good. A crisp, well-preserved copy of this 1927 Tourists' Guide to New York. Clean and VG+ in its stapled pictorial wrappers, with light offsetting to the rear panel. 12mo, 48 pgs., nicely illustrated thruout. New York: St. Martin's Press, 1958. 1st. Cloth. Collectible; Very Good/Very Good. The 1958 1st American edition of this biography of larger-than-life British traveller and thrill-seeker Col. Fred Burnaby. Tight and VG (with very light soiling at the panels) in a bright, price-intact, VG dustjacket, with light chipping at the lower front tip and very light chipping and wear at the spine ends. Octavo, 215 pgs., including a midsection of black-and-white illustrations. Framingham, MA: Old America Company, 1923. Cloth. Collectible; Very Good. The 1923 probable 1st edition, issued out of Framingham by the Old America Company and SIGNED BY WALLACE NUTTING on the front free endpaper. A solid, tight copy to boot. VG in its dark-green cloth, with light wear along the front panel's top-edge and light offsetting at the front pastedown and endpaper. Quarto, 301 pgs. Decorative bookplate of Harriett Aldrich, the wife of Winthrop Aldrich, former CEO of Chase Bank and US Ambassador to the UK. Signed by Author. London: Jonathan Cape, 1977. 1st. Cloth. Collectible; Fine/Fine. A lovely, pristine copy of the 1977 1st edition of Bruce Chatwin's first published book. Tight and Fine in a bright, price-intact, Fine dustjacket. Octavo, 204 pgs.